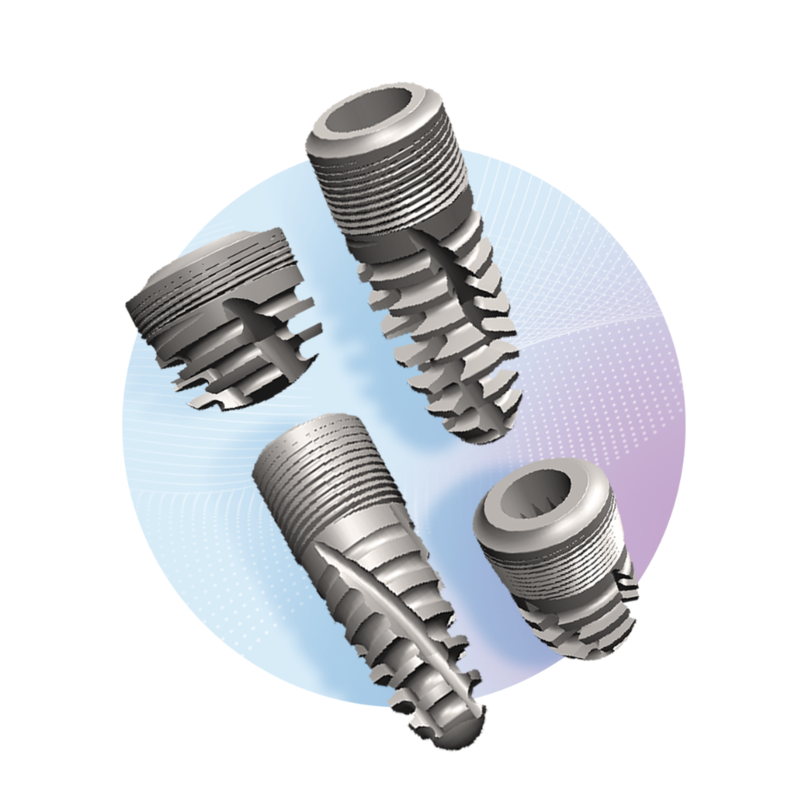 Implanova® system was created by putting 60+ years of dental implant research and development through 3 years of full time engineering using unprecedented computer aided design and 10x 3-D printing. The result is simply the most sophisticated implant design with true ground-breaking prosthetic parts and surgical tools that are envy of older companies. 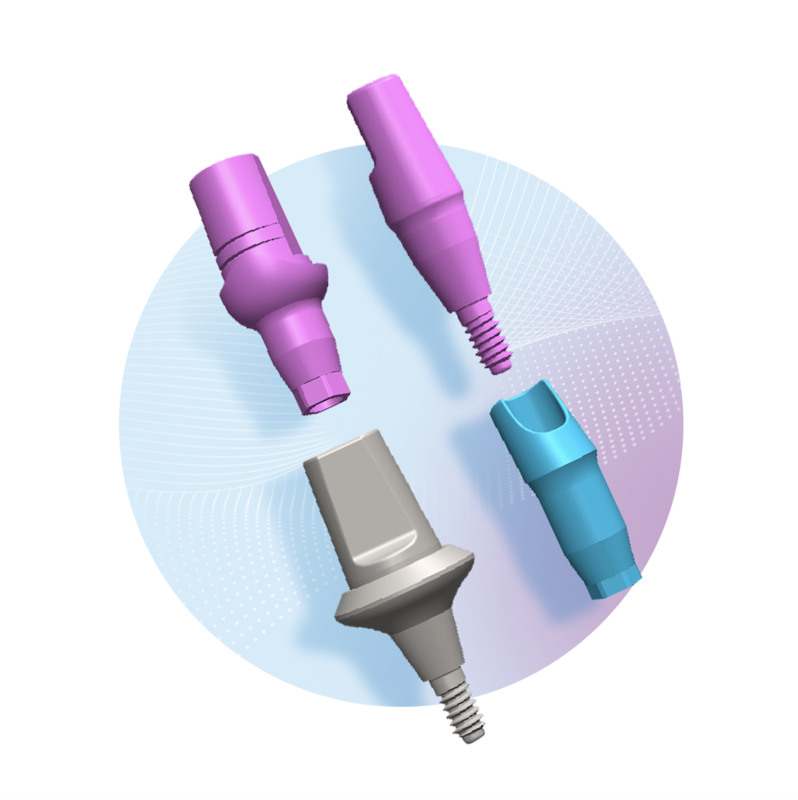 While larger implant corporations are adopting the general features of the Implanova® system, they are limited by the patented features of this design. Additionally, numerous patent-pending prosthetic tools and attachments make this system the coveted leader of implant innovation in the 21st century, giving birth to a new era in full arch implant solutions. Implanova® patented implants boast a cutting-edge self-osteotomizing, self-grafting design developed over three years of engineering research with CAD/CAM technology. Implanova® restorative components are designed for seamless, versatile restoration of the crown/bridge and support cement, screw. 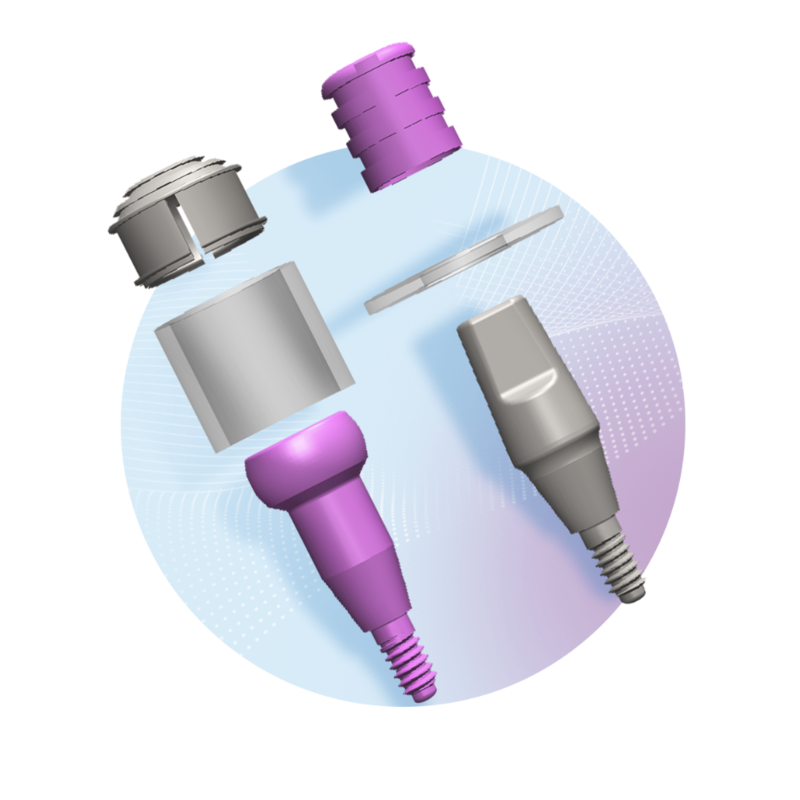 All sizes of abutments and healing caps are compatible with any Implanova® implant size. 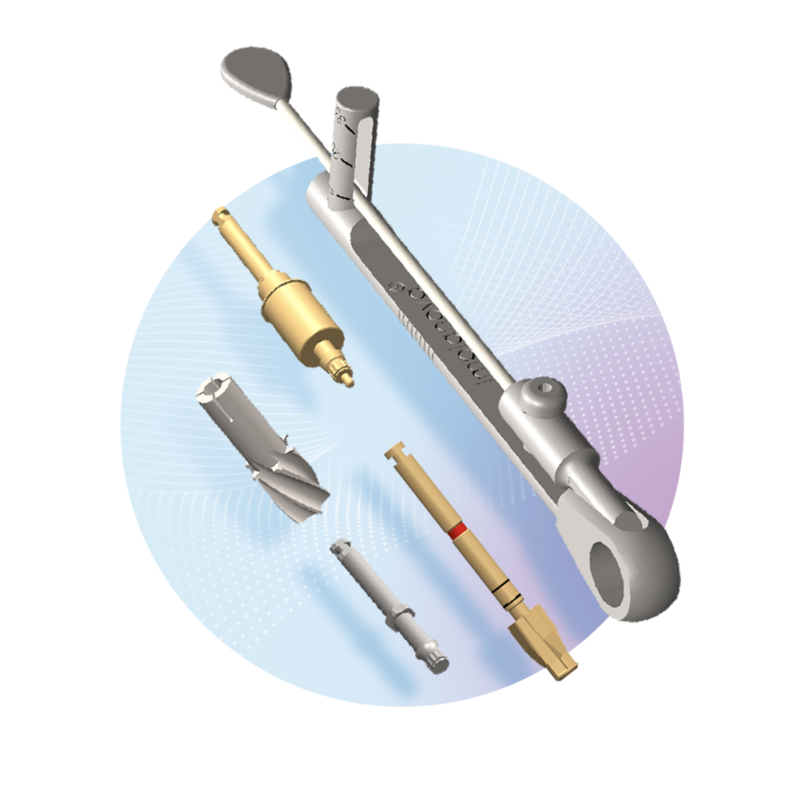 Implanova® offers revolutionary patent pending fixed and removable attachment options. Implanova® impression and implant analogs allow for fabrication of any type of custom restorations.